Your portfolio is based on your financial goals, time horizon, risk tolerance, past investment experience and level of investment knowledge. When these change, you may want to adjust your risk score accordingly. You may even want different risk scores for each portfolio, as you may have different time horizons and goals for each account. You can find your portfolio allocation on your Investor Policy Statement. 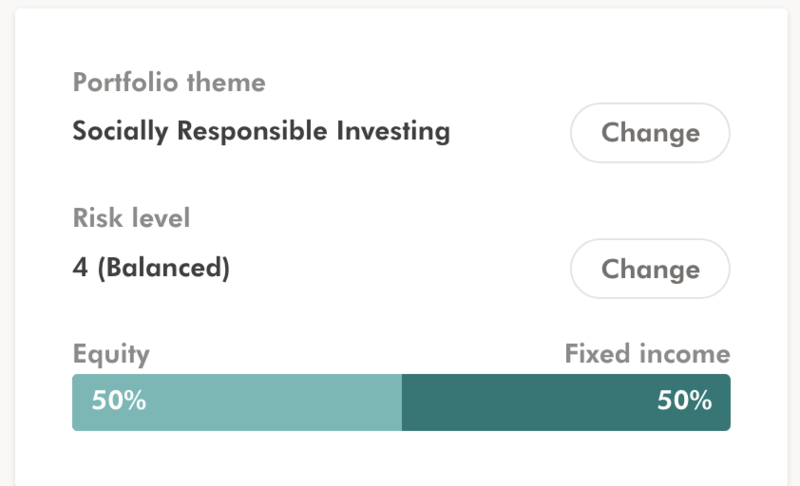 If you would like to request a change to your portfolio, you can do this through your Wealthsimple profile. From the Portfolio page, click on the account for which you would like to make the change. Keep in mind you can only find this option on our website at the moment, it's not in our mobile apps. Note that your request may require approval from a Portfolio Manager to ensure that your investment changes are aligned with your goals. After submission, if approval is required, one of our Portfolio Managers will respond to your request through email in 1-2 business days. You may be required to book a call with a Portfolio Manager to ensure that your investment changes are aligned with your goals.